Electric grinder by Mega Chef enables you to make healthier and more flavorful cooked meals like burgers, meatballs, sausages, meatloaf and beyond. 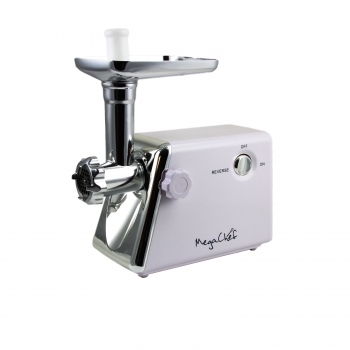 With 1200 Watts of power, this grinder is perfect for processing and grinding any types of meats, fish and vegetables. With its 3 different grinding blades, this grinder makes for the essential kitchen appliance.